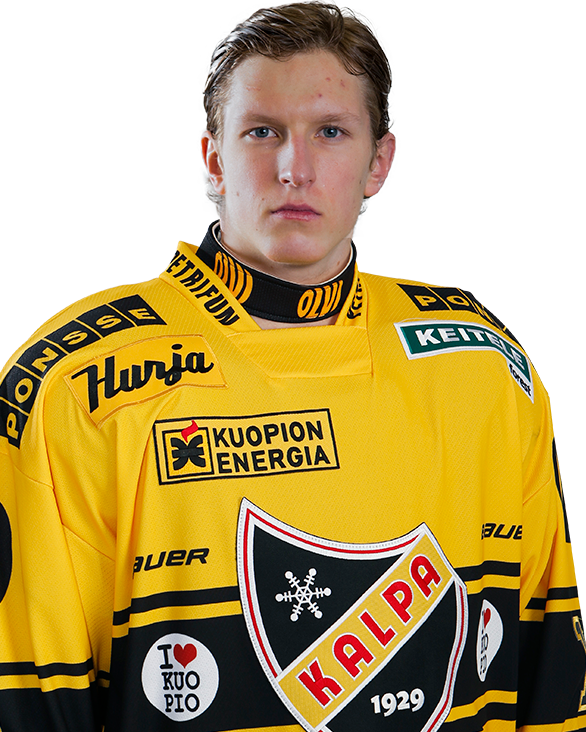 Luostarinen was the number one center for KalPa, and he also played on both special teams for a total of 16:38 of ice time. He didn’t do anything flashy or overly creative with the puck but made good, simple decisions which helped his team win. He made one great cross-ice pass on the power play and earned an assist from it. Luostarinen was more noticeable in the defensive end where he uses his reach and active stick effectively. Luostarinen got 17 minutes of ice time when he played as a first line center. He has developed well and has earned more responsibility as the season has progressed. Compared to the situation one year ago, he plays a lot more with the puck. He has always been smart but his improved skating allows him to be more active. At the moment he is already above average skater by Liiga standards with good stride. However I don’t like his habit of making pretty wide turn before he starts accelerating. I would also like to see him going directly to the net more often. Luostarinen plays active checking game which is effective thanks to his long reach. He could be more careful with his stick though. His play with the stick was often in grey area and he got slashing penalty during the game. You should not expect fancy creative plays from Luostarinen but he is more than capable of playing quick and effective passing game. He is also reliable player in the own end always willing to help defense. Overall, his level of play is clearly better compared to the last season and his progress is very promising. Big centerman saw limited ice time during a game against JYP. He played his previous game in Liiga around one month ago and he seemed to have trouble keep up the pace especially during the first period. Luostarinen seemed slow to react and did not really get his offensive game going but he did show flashes of good stickhandling abilities and ability to play quick passing game. At the own end centre played solid game and got the pucks with his active stick. He used his big body really well couple of times and won board battles with his size, but he could use it more consistently.